Off-Broadway’s best gathered May 7 to celebrate their community’s achievements at the 2017 Lucille Lortel Awards, hosted by Taran Killam at NYU’s Skirball Center. Leading the winners were David Yazbek and Itamar Moses’ Atlantic Theater Company musical “The Band’s Visit” and J. T. Rogers’ new play “Oslo.” The latter is up for seven Tony Awards next month in recognition for its current Broadway run at Lincoln Center; could its four big Lortel wins signal more statues for the Oslo Accords drama? 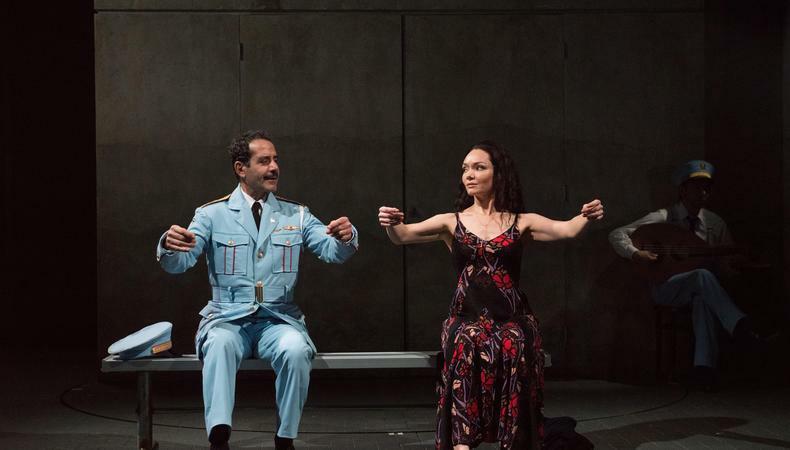 “The Band’s Visit,” which has not yet announced a Broadway run, also won for leading actress Katrina Lenk. The actor bested Sutton Foster for “Sweet Charity” and Siobhan McCarthy for “Sweeney Todd: The Demon Barber of Fleet Street,” a production that took home the statue for outstanding revival. Presented by the Off-Broadway League, Lucille Lortel Foundation, and Theatre Development Fund, and benefiting the Actors Fund, the 32nd annual awards ceremony included such presenters as Judith Light, Andy Karl, Jayne Houdyshell, Keegan-Michael Key, Phillipa Soo, and George Takei. Terrence McNally presented the Edith Oliver Service to Off-Broadway Award to managing director wiz Harold Wolpert. For a list of winners, see below. For more, visit lortelaward.com. Ready to star in an Off-Broadway show? Check out our musical audition listings!